Blog › News › Prove yourself Mr Barnier and don't cut off your nose to spite your face! Does he not consider that he’s possibly cutting off his nose to spite his face; playing at being the big Mr European as he chases, what is privately being discussed in Brussels, his ambition to be the next Commission president? I have to wonder how long it will be before company directors exporting large volumes of goods from the EU to the UK start putting on the pressure for a sensible deal. He talks about ferry-based checks on goods being more pragmatic than a 500km-long land border which the UK has never suggested as a viable option. That notion is only coming from the EU and would never be in Ireland’s best interests. It’s the UK that is being pragmatic here – we don’t need a hard border. The time has come for Mr Barnier to prove he is the sensible diplomat he professes to be. History will be the judge of that! 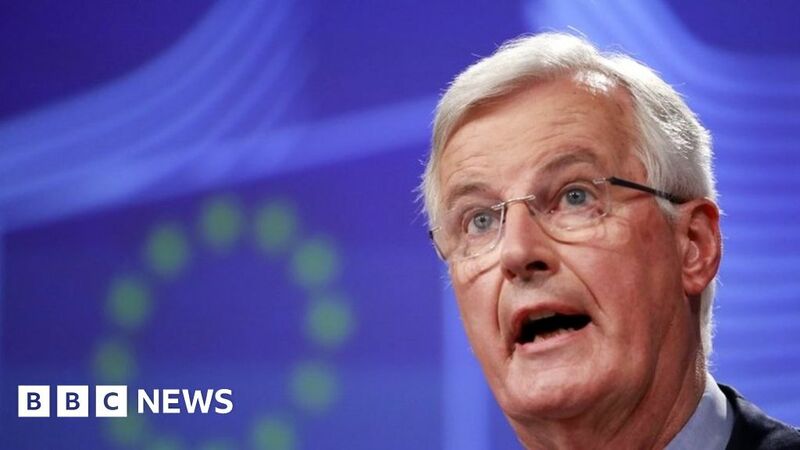 EU Brexit negotiator casts doubt on the UK's latest proposals to avoid a hard Irish border.